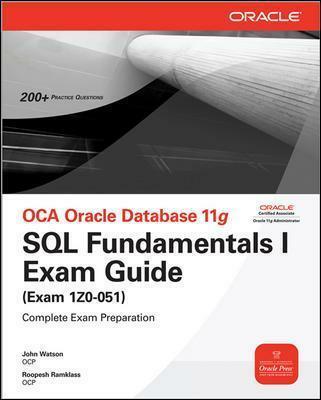 John Watson (UK) OCP DBA 8.0, 8.i, & 9i, 10g, 11g, Interrnet Application Server Administrator, and certified on Managing Oracle on Unix, is a senior consultant with BLP Management Consultants, and taught for Oracle University in South Africa for four years. John taught the DB10g New Features course, the DB10g Manageability and Performance seminars. He validated hundreds of OCP 10g New Features exam questions and contributed to the course material for all the 10g courses. John is the author of numerous articles on technology. Roopesh Ramklass, OCM, is a technical specialist with 10 years of experience in a wide variety of IT environments, including software development, system administration, systems analysis, software design, systems architecture, courseware development, and lecturing. Ramklass is experienced in managing and executing IT development projects, including infrastructure systems provisioning, software development, and systems integration.